Sail the beautiful waters of Lake Erie and The Islands! -Special announcement!! Lake Erie Sailing Charters is excited to announce it has a new boat! The new "Valkyrie" is a 48ft custom built yacht! There isn't another like her anywhere in the U.S. She is also sporting a brand new paint job for this season! Relax and cruise the beautiful waters of Lake Erie and The Islands aboard a captained 48ft sailing yacht. 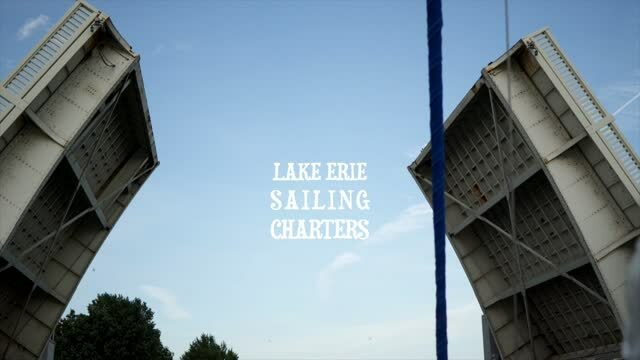 S/V "Valkyrie" is the largest charter sailboat this end of Lake Erie! Lake Erie Sailing Charters specializes in private sunset cruises, day sails, Put-in-Bay/The Islands excursions, as well as custom charters. LESC typically operates in the waters of Lake Erie from Toledo to Sandusky. With a max passenger limit of 6 passengers you have room to lay out on the decks to soak up some sun or sit in the shaded cockpit for a fun and relaxing cruise. Feel free to explore our site for more information. You are also welcome to contact Capt. Jake to answer any questions or to book your next adventure! © 2018 Lake Erie Sailing Charters. All Rights Reserved.